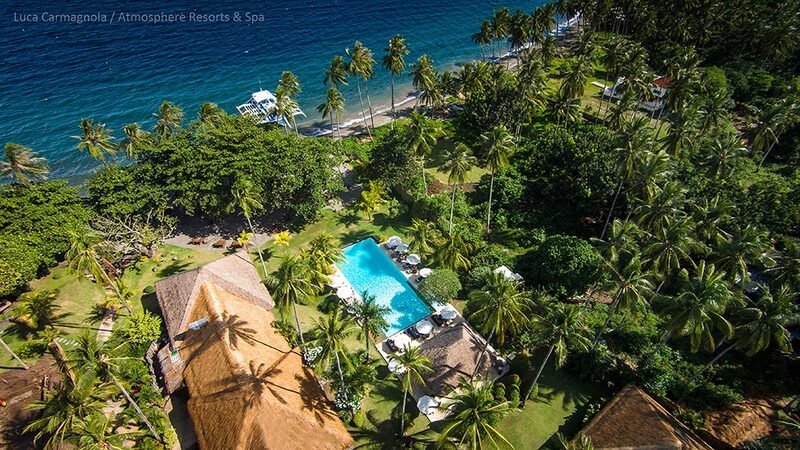 Sympathetically situated within an old five acre coconut plantation, eight spacious boutique style suites, eight garden apartments, four penthouses and four family suites are nestled discreetly, enjoying the spectacular beach front location of the estate alongside the warm coastal waters of the Philippine Sea. 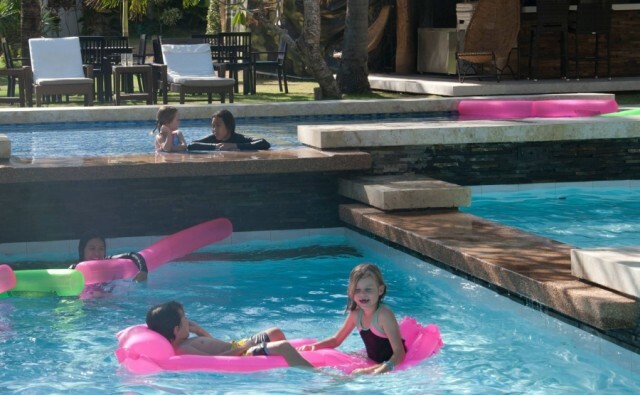 Imagine you are at the beach side infinity pool, steps away from a state of the art dive centre, and fine dining restaurants at your fingertips. 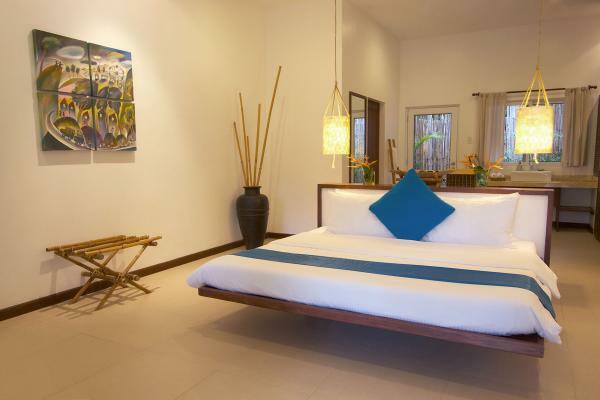 The well equipped accommodation provides a melting pot of delightful experiences, making your stay here unforgettable. 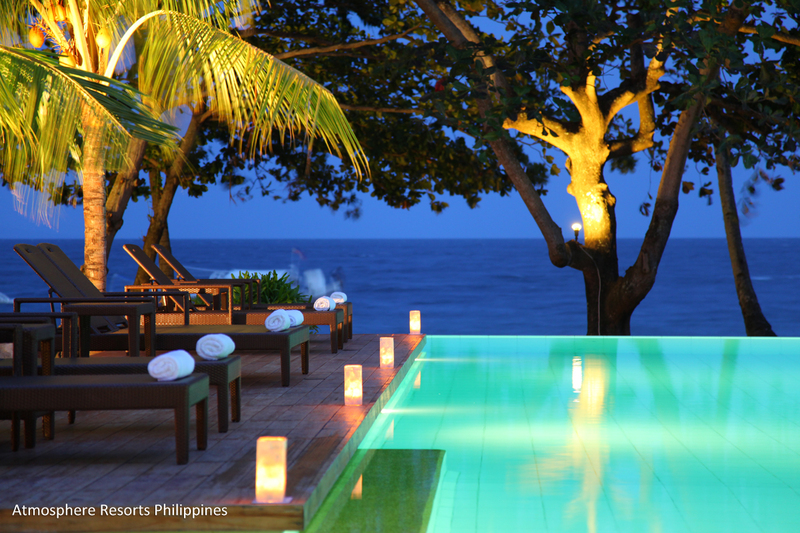 Dive, dine and rest. A flexible approach to dining has been created to cater for the personal requirements of each guest and whether you wish for a romantic dinner on the beach, a chef to cook for you in your own apartment, eating at ‘Blue’, their signature fine dining restaurant or a light lunch round the pool, they will be happy to oblige. The Bar, placed as it is at the top of the pool, is a real meeting place for guests and friends or if you prefer you can take your drink to one of the many intimate spaces. and overlook the ocean and the treetop yoga platform. If you love wine there is a large emphasis on the quality of their wine selection and storage. The climatically controlled wine cellar has over 500 hundred world class wines from France. All the wines are handpicked from boutique French estates by our Sommelier on a yearly basis to guarantee top quality throughout our diverse range. Atmosphere bakery where you can watch the pastry chefs in action. Spa treatments are available in the comfort of your own private quarters at your convenience. Various rejuvenating treatments, scrubs, pedicures and manicures can be booked until 9 pm at night and couples can avail themselves of two treatments which can be run simultaneously, side by side. 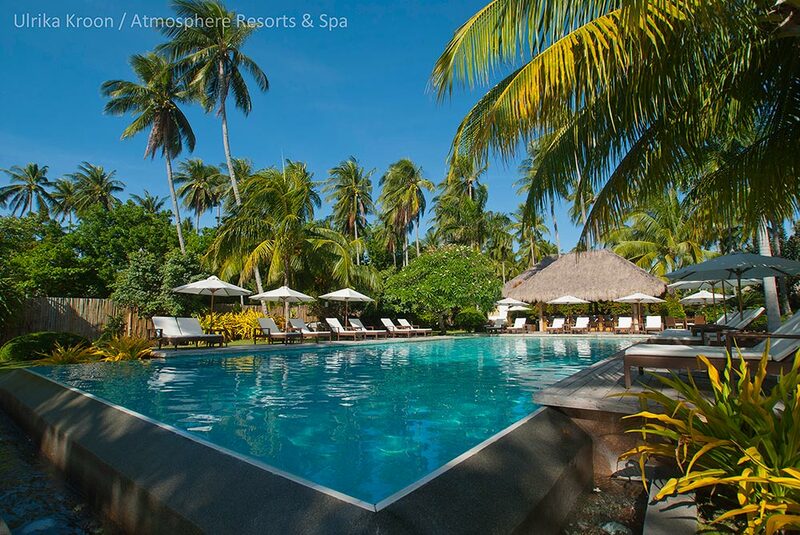 Other activities at the resort include: yoga, golf, a wide assortment of tours from helicopter journeys to visiting local markets can be arranged. 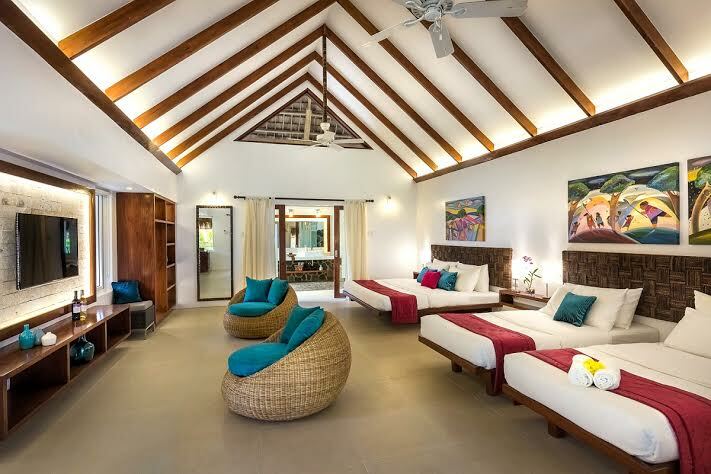 The accommodation is scattered through lush tropical gardens and with choices ranging from suites, garden apartments or luxury penthouses, there will be something to meet your needs. 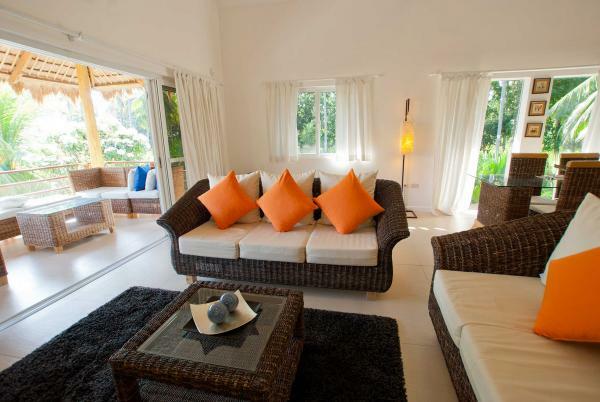 All the accommodation has its own private garden/ outside space for your relaxation and all views are across the gardens with most through to the sea. Crisp, white Egyptian cotton linens, soft white fluffy towels, branded cosmetics, flat screen televisions and mini bars are standard throughout, as well as your choice of king-size or twin beds. 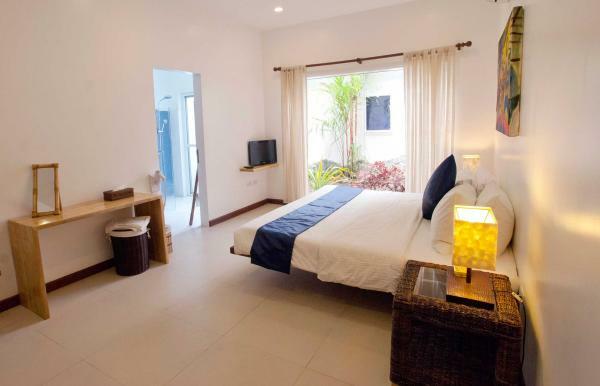 All rooms have wireless internet connection, light airy bathrooms and large external balconies. 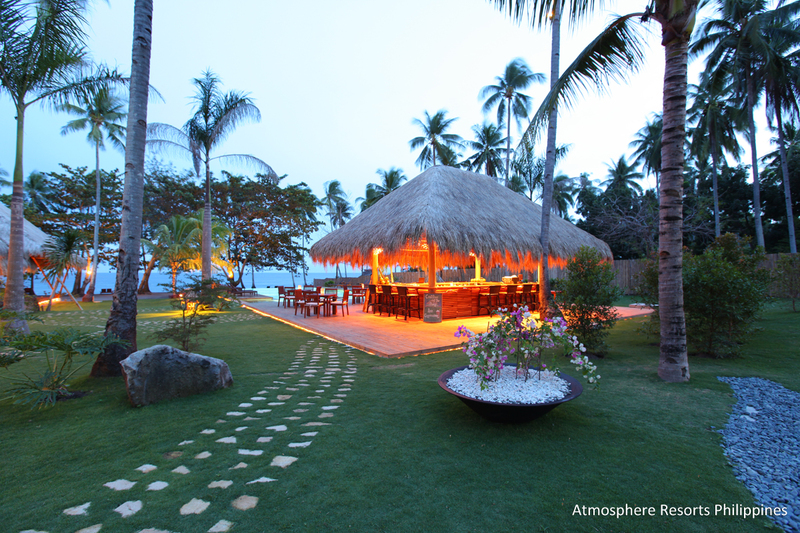 The resort can accommodate a maximum of 90 guests. The suites are standard accommodation. 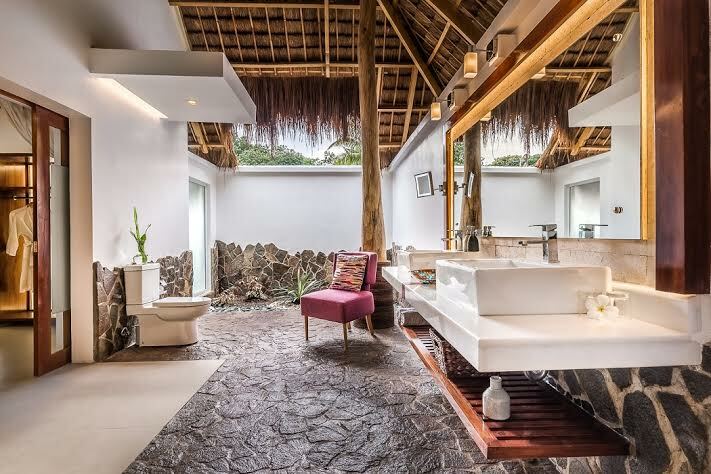 All of 90 square meters, each room has an en-suite bathroom complete with a rain shower and solar water heating, set within an open air private garden. 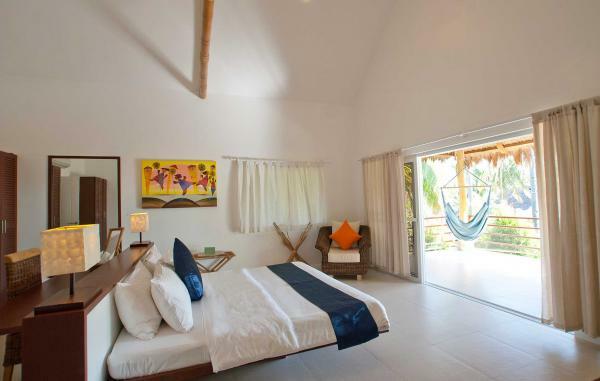 The front balcony with day bed and hammock, interior lounging area with day bed and changing studio are all part of the comfort you will find in the suite. 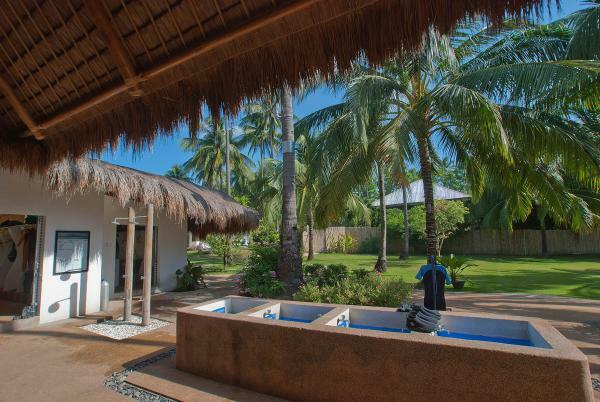 If living or holidaying in a secluded tropical garden that is a stone’s throw away from the beach is your perfect slice of paradise, this is the ideal place for you. 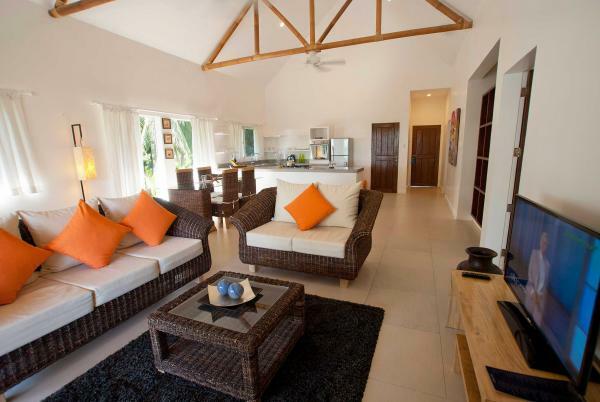 The beautiful single storey apartments allow for complete independence whilst at the same time offering security and all the benefits and facilities of the resort. 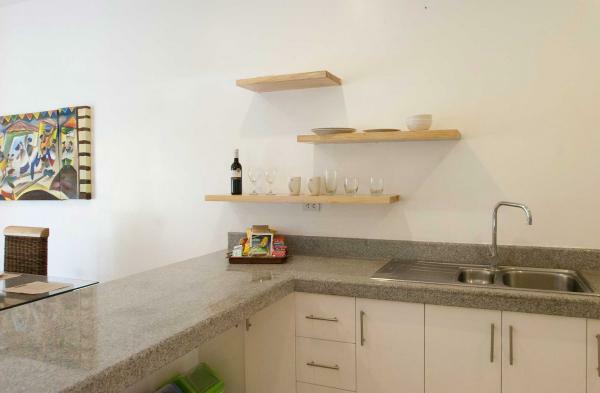 Each apartment has a total floor area of 105 square meters, encompassing a master bedroom with en-suite bathroom both overlooking a private tropical garden, an open plan fully fitted kitchen, dining and living areas which lead seamlessly onto a private veranda. The penthouse is the most luxurious type of accommodation. The floor area of over 200 square meters gives a beautiful spacious arrangement comprising of the master bedroom and guest bedrooms with en-suite bathrooms, an open plan kitchen, living and dining area which leads onto a large external balcony. 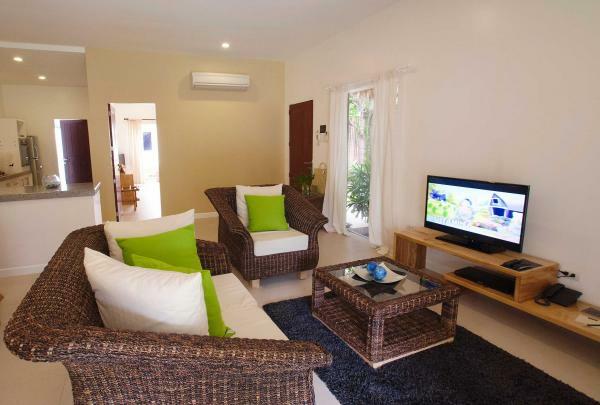 Tastefully furnished and decorated, all apartments and penthouses provide a calm oasis for every traveler. 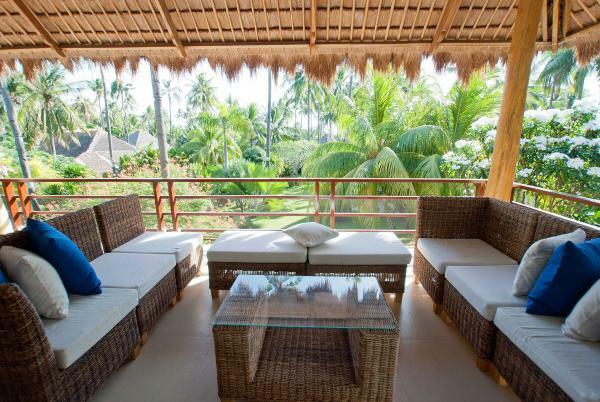 Soft, natural hues dominate the fully furnished interiors, while different exotic textures such as tropical hardwoods and the traditional Philippine abaca provide exciting contrasts to streamlined, minimalist style architecture. screen TV. 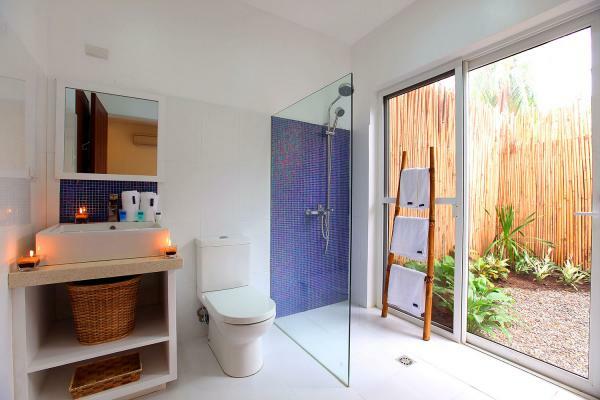 The extensive outdoor bathroom has double sinks, a rain shower and a large pocket garden. couch overlooking the lush green gardens. 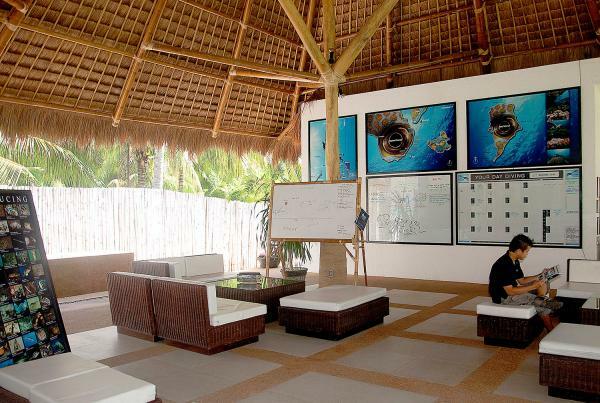 This dive center is state of the art and was designed by divers, for divers. They understand the need for space in the wet facilities but also the growing demand for technological requirements. With this in mind guests can enjoy private equipment storage spaces and wireless internet throughout the dive centre for their convenience. The amenities of the dive centre include: multi-media suite for lectures, seminars, video/camera downloading and editing, retail area for sales of equipment and support gear, briefing and de-briefing area, lounging area for logging and pre/post dive socializing, diver toilets and showers, kit washing and personalized storage area, Nitrox analyzing station, pump house/tank store. On a daily basis the dive centre runs dives to all the Dauin Sanctuaries and also Apo Island via the dive boat Victoria. Victoria is a beautiful 25 meter (84 foot long), local banka-style boat that was designed and built specifically for the day trips and diving. 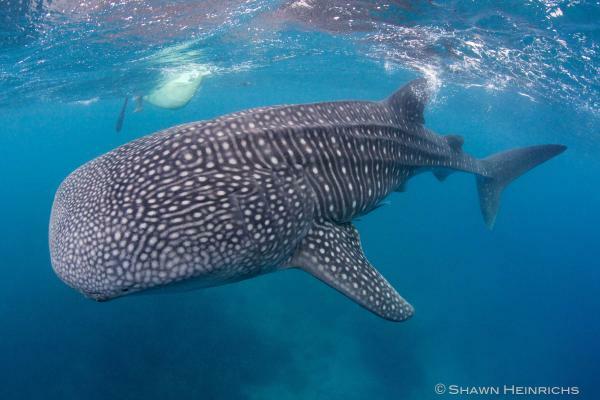 Depending on demand, the dive centre also runs numerous day trips to dive sites further away, including: Sijiquor Island, Balicasag, Sumilon Island and Liloan Point. 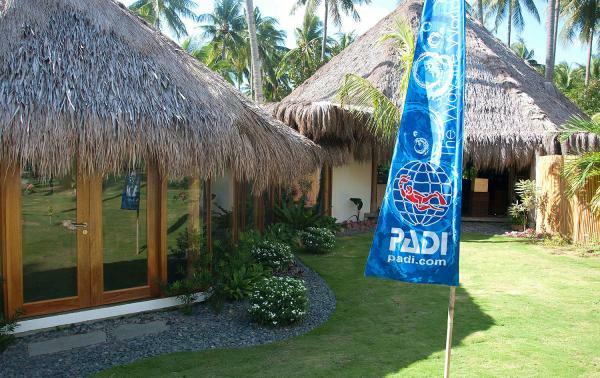 The dive center provides a full selection of PADI courses. 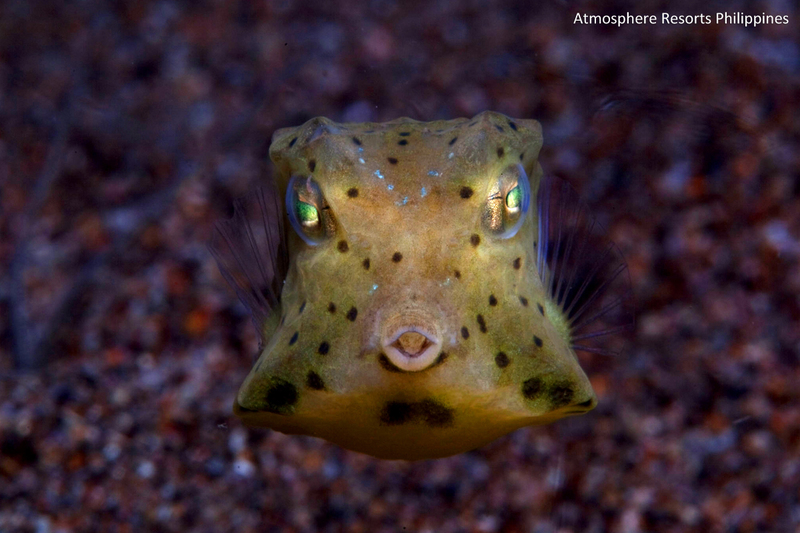 The Apo Island Marine Sanctuary is just a short 30 minute boat ride from the resort, and has been a well-preserved marine sanctuary for the past 20 years. 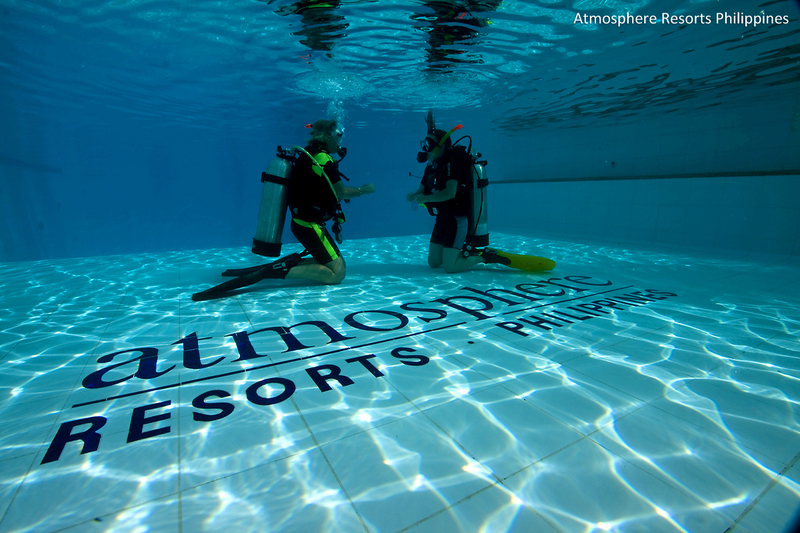 Apart from having stunning sub-aquatic views, the warm waters provide an outstanding diving experience all year round. 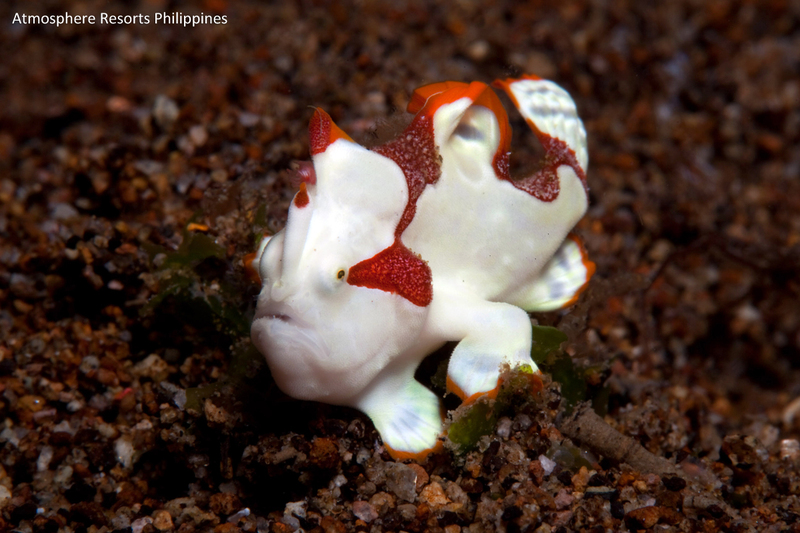 With an international reputation for having the largest and most diverse collection of corals in Asia Pacific, Apo Island is undoubtedly a scuba diver’s heaven and remains a number one diving destination in the Philippines. 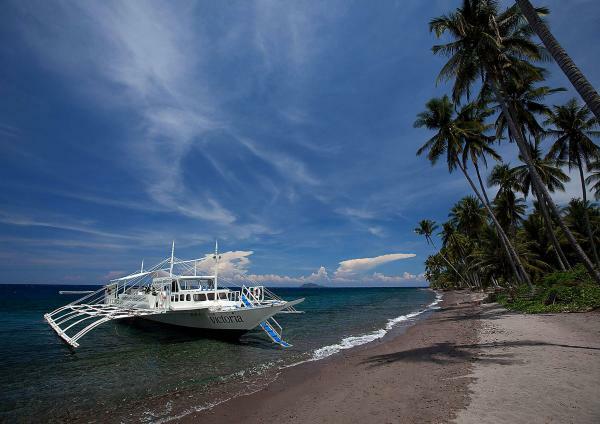 Cogon is named after the Filipino ‘cogon’ grass that lines the shore in front of the dive site. This dive site is known for its sometime fierce currents and is therefore only recommended for advanced divers with drift diving experience. The dive site starts on a sandy slope, with an impressive array of corals, look out for the family of bump head parrot fish that sometime frequent this area. As the dive site progresses the topography changes to an impressive wall dive. The current ensures there is a variety of marine life in evidence and keep an eye open in the blue for the huge schools of big eye trevallies. Mamsa is the local word for ‘Jacks’ and often there is a large school of Jacks to be seen at this dive site. Again prone to strong current, this is also a drift dive for the more experienced diver. Starting on a steep slope the topography is quite unique as it turns into a host of underwater boulders which later joins a steep wall covered in soft corals. 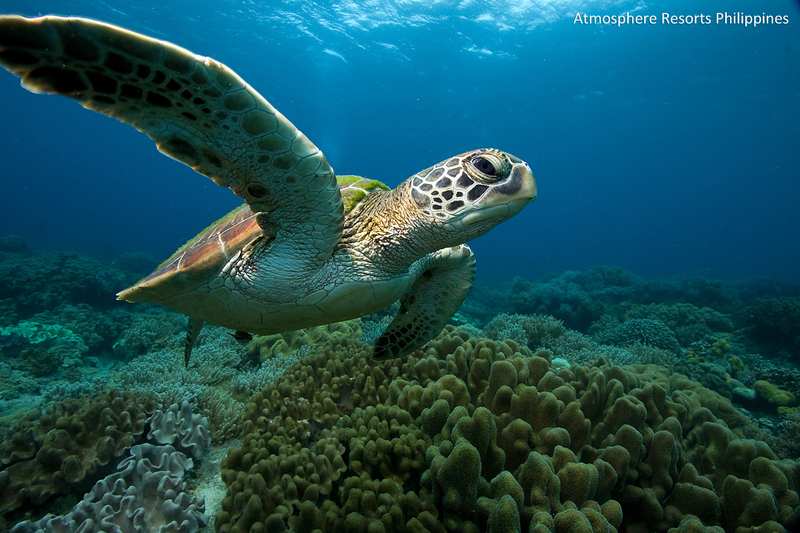 Drift along and keep your eyes open for the occasional hawksbill turtle. Kan Uran is situated on a point where two currents meet. The temperature change can usually be felt as the currents mix and occasionally you can feel the turbulent water. The dive site is a wall dive with many overhangs and crevices which ends on a steep slope at the start of the marine sanctuary. A dive site that is suitable for most levels assuming the current is not so strong.